A federal court has denied a request by imprisoned former Gov. 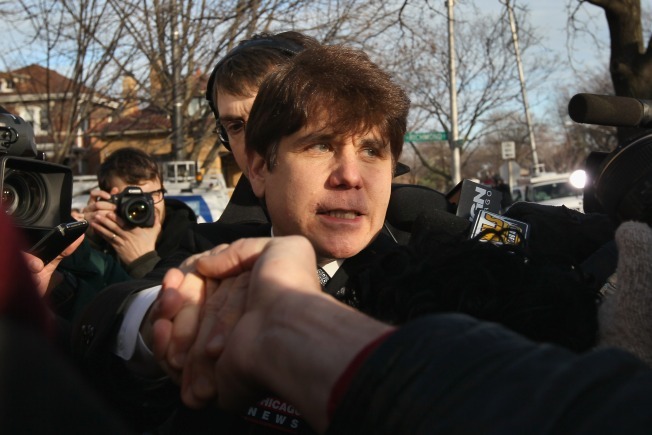 Rod Blagojevich to delay his resentencing while he asks the U.S. Supreme Court to hear his case. A Monday order from the 7th U.S. Circuit Court of Appeals in Chicago denies last week's request by the Illinois Democrat's lawyers. The order says resentencing won't interfere with the high-court appeal. Blagojevich is serving a 14-year prison term, including for trying to sell President Barack Obama's old Senate seat. A three-judge panel overturned five of his corruption convictions in July and ordered his resentencing on the 13 remaining counts. The 7th Circuit earlier refused Blagojevich's request for a full-court rehearing, so the Supreme Court is his last hope of getting more convictions tossed. No date has yet been set for resentencing.